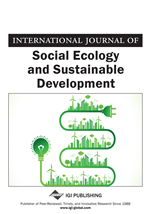 This article develops an inter-disciplinary and trans-disciplinary framework of analysis that relates knowledge, innovation and the environment (natural environments) to each other. For that purpose the five-helix structure model of the Quintuple Helix is being introduced. The Triple Helix model, designed by Etzkowitz and Leydesdorff (2000), focuses on the relations of universities, industry and governments. The Quadruple Helix (Carayannis & Campbell, 2009) blends in the perspective of a media-based and culture-based public. The Quintuple Helix finally frames knowledge and innovation in the context of the environment (natural environments). Therefore, the Quintuple Helix can be interpreted as an approach in line with sustainable development and social ecology. “Eco-innovation” and “eco-entrepreneurship” should be processed in such a broader understanding of knowledge and innovation. The Wikipedia definition of knowledge, also cross-referencing to the Oxford English dictionary, lists as a crucial element of knowledge “the theoretical or practical understanding of a subject”. The Wikipedia definition furthermore associates knowledge to “expertise, and skills” that a person may have gained either by experience or through education.1 Currently, there exists a general belief (indicated by numerous publications) that knowledge becomes increasingly important for society, the economy and also democracy. Advancements and a sustainable development of society and the economy appear unlikely without leveraging and enhancing knowledge. This adds plausibility for using concepts such as the knowledge-based society, the knowledge-based economy and the knowledge-based democracy (Carayannis & Campbell, 2009, p. 224). Perhaps there is even a shift not only to speak of the knowledge-based society and economy, but of a knowledge society and a knowledge economy per se that is being endogenously driven by knowledge. The concept of a knowledge democracy consequently complements such propositions.